Me and Baeth Davis. Cafe Gratitude, Venice, CA. This feels shameful to write. Or stupid. Or daring — maybe not in a good way. Don’t write until you’re happy again. You don’t want to bum people out, says my brain. Eat some pistachio ice cream. Shout the lyrics to an Eminem song. Stand on your head. Something. Plus, the brain continues, its voice rising — you promised you’d always open your posts with a vivid scene, or image, or moment…and here you are, spouting abstractions and melancholy. How’s that going to help anyone? People look to you to inspire. Or at least dole out some brief entertainment dolloped with a cool writing tip or business insight. Yes, and…since last Sunday, (I’m ignoring my brain and talking to you now), inside I’ve carried a river of grief. The photo above? You can see it brimming from my eyes. You can sense it in the odd trembly shape of my mouth. So embarrassing. I wanted to cry when we snapped that selfie. I had cried on the drive over to meet my friend. At least it was a Sunday. A day I have declared sacred. A time to not work. To rest. Well, to try to not work and rest, anyway. And that’s when the grief came rushing in. Torrential. …Los Angeles can be isolating. It’s a powerful place to work. So much quiet, so much sanctuary is possible. My place sits on the edge of a state park. Wilderness surrounds me. The air is drinkable. The red-tail hawks, the coyotes. The deer and lizards. I love it. I love it all. And, it can be lonely. So can the path of a solopreneur. And a writer. Try being both. Don’t mistake my tone. I’m not complaining. Just confessing. Two deaths. One person didn’t want to die. The other one did. We weren’t close, and, we were close enough. Close enough the loss of them both streaks like a comet through me and leaves a trail of light, one that doesn’t fade. One that, instead, pulses. You know that dryness you get in the throat when there are brushfires raging, somewhere nearby, near enough? A taste of ash. Of dirt. Your skin like tinder. Everything combustible. How did I honor the Sunday? How did I raise myself up? 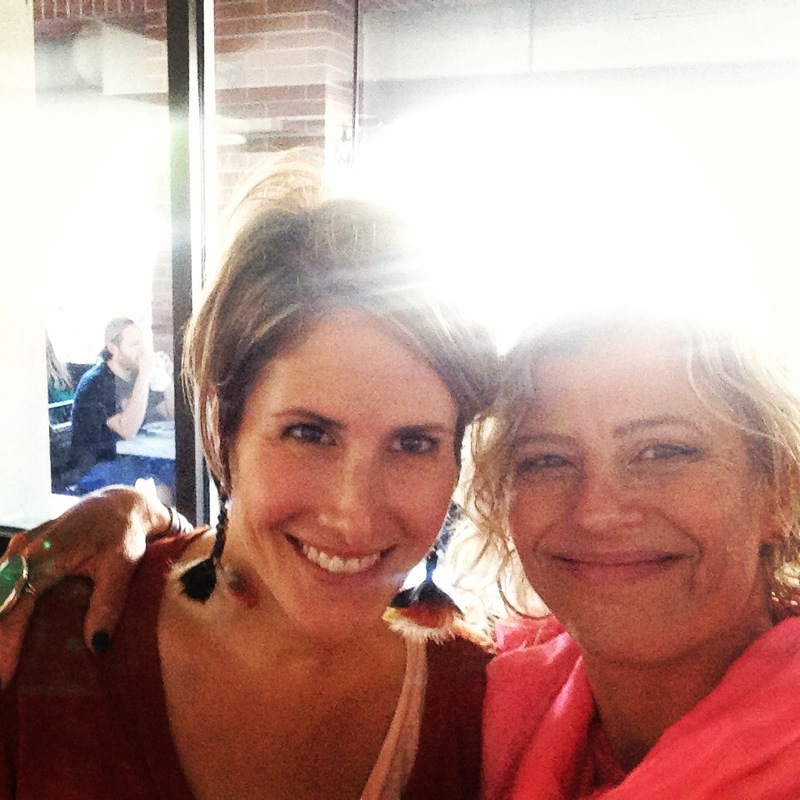 Met my brilliant, compassionate biz whiz friend for breakfast — at Cafe Gratitude. Rollerbladed on the Venice boardwalk. Then I attended something way out of my comfort zone — a healing circle. What I later learned was a channeling. I think that’s what it was. Whatever it was, I folded my legs on the carpet, propped my back against a table as the late afternoon light streamed through windows and striped the group of about twenty — and I opened myself. The pain made me porous. I dreamed a communal dream, studded with birds, light bursting from cracked ribs, musical cakes. I wept. In public. Racking sobs. While the facilitator with her waves of Botticelli hair rocked, and keened, and held those who came to her. Each embrace a Pieta. “So much sadness,” she said. And I knew it wasn’t only me. One of those people who died threw himself from the roof of his building. It was 10am on a Monday morning. Venice, California. When people make this choice, it ripples. A sadness spreads. We absorb the pain. I know. My mother chose suicide. I was 14. Everything changed. Sometimes I’ve said this of my life’s direction: I use a compass rooted in the geography of loss. Yet there is also laughter. Dark laughter. Light laughter. Travel. Adventures. Ambition. And always, curiosity. Add to this, I am reading four memoirs for a panel on memoir I moderate tomorrow at the West Hollywood Book Fair. “Family Ties” is the name. What binds us to blood, whether we want it or not. Such courageous writers. Sure, there are parties, Chanel suits, pot-bellied pigs and Hollywood meetings, snake-charmers, RVs and all-conquering love. There are also mentally ill mothers and cruelly treated children, siblings who commit suicide, secretive CIA agent fathers who trigger crises of trust in their sons, the dark siren pull of addiction. 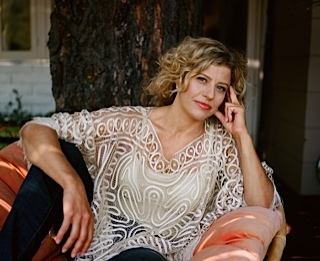 These authors have shaped their pain, sung of hurt and beauty in riveting narratives. They have seized the sad tales and in so doing, rewritten their own narratives. What did Flannery O’Connor say? No matter if a book seems dark or depressing. You’re missing the point. Simply writing — and completing — the book is an act of hope. Honor those who’re gone, who moved you, who made you. Let them breathe through you. Each one now part of you. Part of your distinctive voice that is rooted in your pain, your hope, your primal spark. What I’ve been seeing lately is some clients can’t find their voice. Don’t even know what it is. So their messaging falls flat. They think point of view is intellectual opinion. Is pamphleting. Is manifesto. When it is really about, How do you see the world? What is your angle on your life’s specific narrative, from inside your skin, your skull? When you look at the canyon stretching past this deck, do you see the way the Torrey pine needles dance in the sun, or do you notice the burnt stump over there marring the hillside? Or perhaps you imagine that fat squirrel farting? They don’t see it comes off brittle. Partial. False. The truth is, they are brimming over with feeling. It’s just been shunted to another side. Compartmentalized. Sadness comes. How can it not? We trust people who feel. Who give us permission to feel through their own expression. Who stand in their power. Who fully inhabit their story, their message. The full breadth of being. This is part of your voice, along with your unique syntax, language and rhythm. Along with the quirks, the obsessions, the humor. Along with your searing images, the songs. The stories. Yours alone. And thus, everyone’s. It’s the contrast that provides chiaroscuro. The darks and lights that captivate. Personal narrative is now an imperative. Open that shuttered side. Let the flood enter. Then shape, sort — and share. This, after all, is the essence of drama. Of story. Someone wiser than me said, Life isn’t about avoiding loss. Life is loss, and our challenge? To navigate that loss with grace. The ones who’re recently gone, who touched so many people, they left behind published words, performances — a legacy that lives. Let it out while you still have time. While you’re still here. The world awaits the story only you can tell, in a voice no one else can claim. Meet you at Cafe Gratitude where, once the sadness ebbs, I’ll be dancing more fiercely than ever. In memory of actress Karen Black and author Les Plesko. In admiration of memoirists James Brown, Wendy Lawless, Scott C Johnson, Linda Daly. And always, in memory of my mother, Jane Reidy. Rachel I feel your pain, your grief, your sorrow. Drowning in quicksand myself as my marriage crumbled, I too crawled into a spiritual healing group. It helped save me. I wish your friend had done the same. We must embrace the power of community and connection. Inspire as you do by being brave and vulnerable (you can’t have one without the other says the brilliant Brene Brown). Thank you for reminding me why Now is so important. Elaine, I didn’t know! How wild you found yourself in a spiritual healing group during that intense time of the marriage falling apart. And that it saved you. I want to know more. Yes, so important to reach out. To stay connected. Create community. I’m haunted by this loss. By others who’ve gone too soon. Who’ve wrenched themselves away. So violent. There’s a kind of ripping. If there’s inspiration in this stripping down, and stripping away — if it gives anyone hope or courage, then it’s all worth it. A jolt into the now. Yes. What did Cavafy say? We all have the Great Yes or the Great No within us. And that Great Yes or Great No will never change. Good lord, Rachel, you are a gourmet chef with a pen. Such a rich, engaging and deeply touching post. I give you a standing ovation. Thank you for sharing the depths of your emotion, I felt every one of them. And you, Ms. Dorchak, certainly have a way with words! When words are edible, then all is right with the world. Thank you for the standing ovation, and for your warm words — that also always seem to have a mischievous tilt to them. You are a delight. Sarah! Superstar former writing workshop student! You are soaring. To have had the chance to watch your gifts unfold, as you gained awareness and shed a whole other narrative, another self — that is an honor and a thrill. Yeah, those words of Flannery have buoyed me many a time too. I read that piece about Cranston and the power of vulnerability! Are we sure we can’t get Gilligan to keep writing?! Good luck with the book! I have no doubt you’ll finish. Don’t stop. When we share our stories, we set in motion a ripple that extends far beyond what we can see and in some cases, what we can imagine. Writers who don’t live, feel, grieve, celebrate, and experience life can’t move us. You move us. Thank you. So true. I’m often blown away by who reads what I write. Where it ripples to — and so try to take as much care and/or at least sluice veins into what I write. Be as true as I can to the moment, to the me then. Thank you for your gracious and generous support of writers, artists, and others needing to share the sweep of it. If I move you, then I know it’s all worthwhile. You’re a sweetheart, Pamela. I love you too. Your post moved me. Keep thinking about the brother, the niece…and you and your daughter…let alone everyone else. The constellations of connection. The things that bind us. It’s the vulnerability that heals us. This is the truth I have come to understand through letting grief flow through my body like muddy water until it finally runs clear. Without looking it square in the eye- we can’t take the gift of it, the value of the experience, put it into our knapsack of memories and let it shape us. Beautiful post. And beautiful lesson. Not only for the writers- who by the very act of calling ourselves writers- need to commit to this level of artistic living, but for all of us. This is a good lesson of mental health. Living awake, living in gratitude. Meet you at the cafe, sister. We’ll raise a glass to gratitude for every life well-blazed. I know the pain. Thank you for writing in your beautiful way about such a somber topic. MUCH love to you. Angel! How lovely to see you here, and what a gorgeous and heartfelt post. I’ve always resonated with contrasts. Back to Clockwork Orange. Violence set to classical music. Love how you picked out the somber material, and felt the beauty. Bow down. Much love to you too! This was a really lovely gift to wake up to this (the morning I read it) and courageous of you to tackle this topic, but why am I not surprised that you would choose to do so! When I take the time to do those “gratitude lists” – personal narrative is one of the things I’m grateful for – those who have the guts and ability to give voice to agonizing and real stories.